As IUPUI’s celebrates our first 50 years, we are honoring the rich and vibrant African American neighborhood once located where the IUPUI campus now stands by sharing its history, uncovering its stories, and tracing the changes that have taken place there. We are also looking forward to a continuing future of growth and ever-increasing momentum. IUPUI’s combination of aspiration and inspiration will carry us forward with speed and focus. 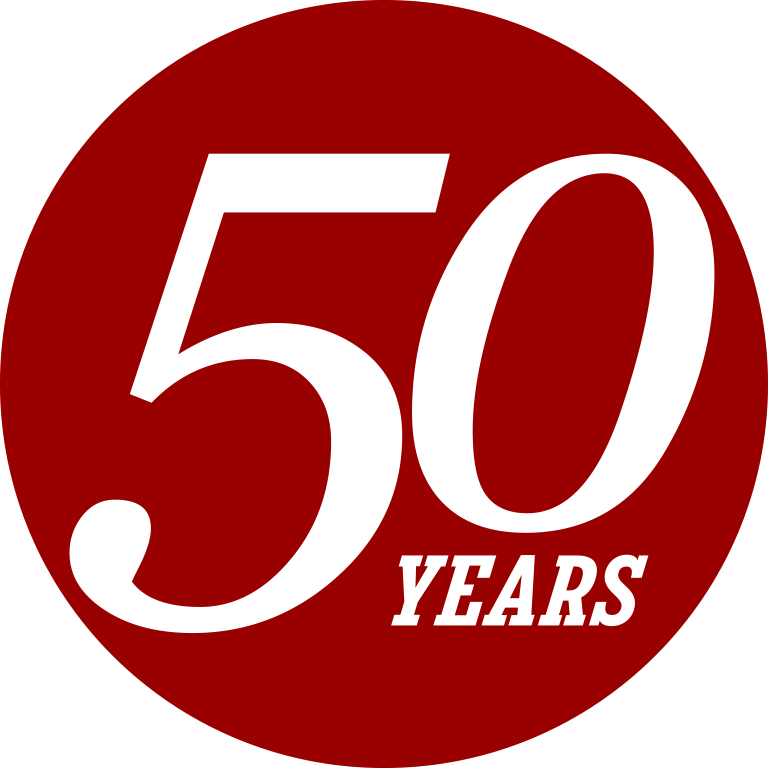 In our next 50 years, we aspire to be a campus where every student has access to higher education and can succeed. We aspire to help make Indiana a healthier state for all Hoosiers. We aspire to think globally as we address the problems of today and anticipate the challenges of tomorrow. These aspirations have propelled us to this moment, and they will carry us through and inspire us over the next 50 years. 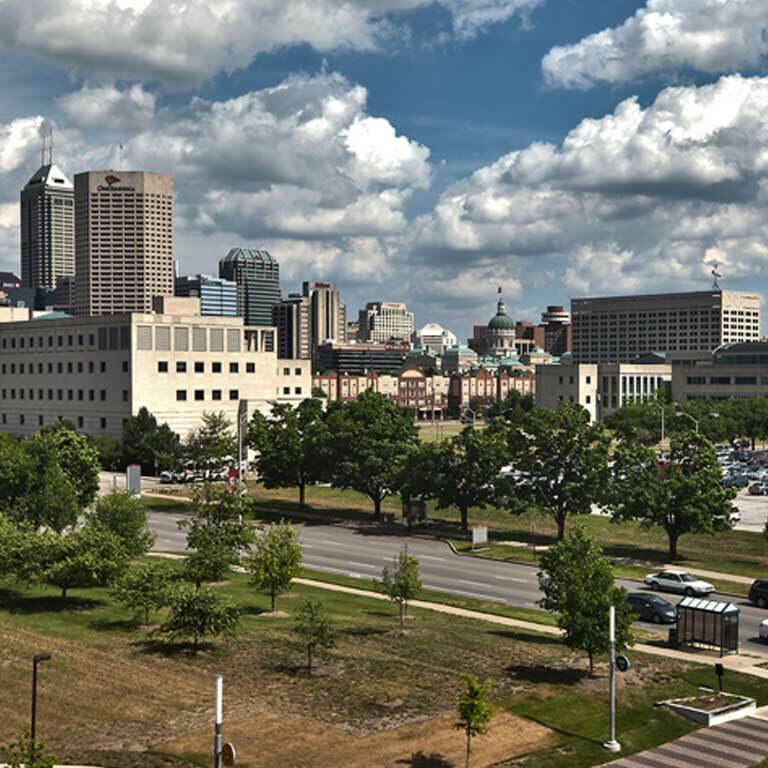 IUPUI’s anniversary comes at a time of promise and possibility for our campus and for Indianapolis as the city itself prepares for its bicentennial. At this pivotal moment, the relationship between the campus and the city is stronger than ever. 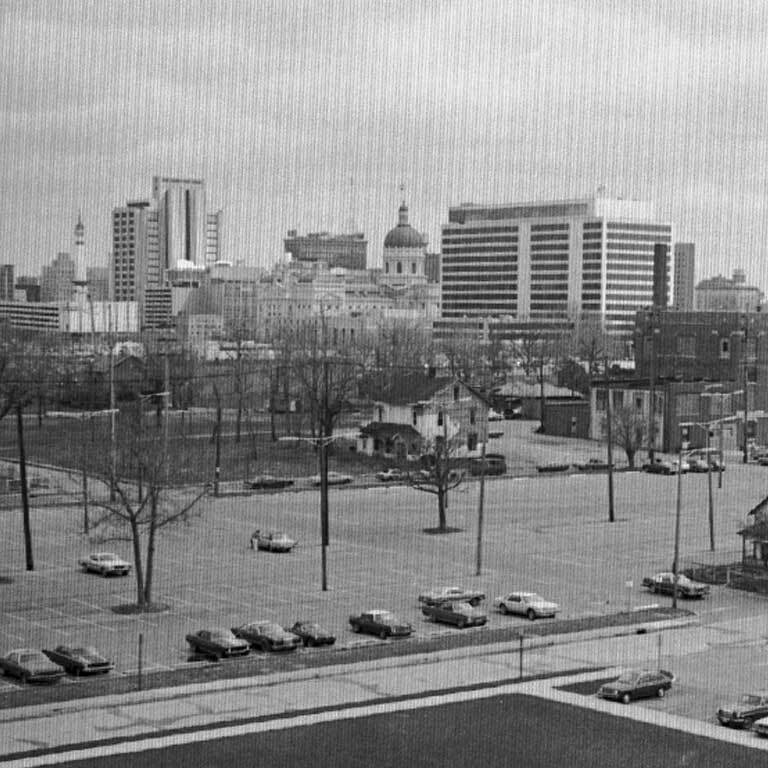 Downtown Indy as seen from IUPUI in 1970.